This is the lead in page from the original Seishinkan site. The format and content of ALL pages on the original site are being updated daily. Until they are all updated, you can still access them through here. Pardon any formatting abnormalities while we update. Martial arts Seishinkan Sogo Budo / Bujutsu Dojo. Martial arts supplies and equipment. START HERE - or explore the links below. Martial Arts Supplies are HERE. 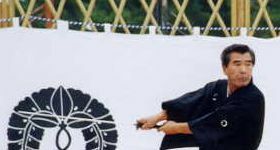 Now is your chance to see and learn the close quarter Tanto Jutsu / Knife tactics that were taught only to elite Samurai by the famous Yagyu clan - the private instructors and bodyguards of the Shogun. WHAT: A one day, 2 + hours, hands-on introductory Sampler of Yagyu Ryu Tanto Jutsu - knife fighting, Tanken Jutsu - short sword tactics, and Juken Jutsu - close quarters Bayonet fighting. This introductory Sampler will focus on proper gripping, postures, basic perforating, severing and offensive tactics, with a variety of fundamental engagements. The event will begin with a brief presentation of historical truths and some artifacts so be sure to come early. TIME: 2:00 – 4:00 PM It is vital that you come early to prepare! WHERE: Shinbukan Center for the Martial Arts at the South end of the Hillsdale Plaza on Whipple Road. Phone 330-730-7221. Advanced registration is important so please call now. WHO: Everyone 18 years and older is welcome. Special invitation to all martial arts practitioners and instructors, military, law enforcement, and security personnel. WEAR: Loose, comfortable, clean clothing or a martial arts uniform. FEE: Includes 1 wooden Tanto provided by Sakura Martial Arts Supplies - www.sakura-0.com. Advance registration - $60.00 per person. $75.00 at the door. A variety of Tanto and related products will be available for review and purchase after the Sampler. REGISTRATION: Sampler size is limited - sign up now! Advance registration please. Call or visit the Shinbukan to pre-register today! Be sure to request an information sheet to read before the event. INSTRUCTOR: John Viol Shihan - 39 year career Martial Sciences veteran, trained, tested and licensed in Japan. Mr. Viol is a combat trainer and instructor for members of elite military, law enforcement and executive protection services. 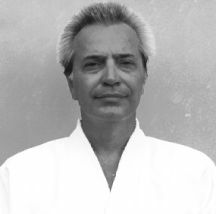 Mr. Viol is the Chief Instructor and sole United States representative for Seishinkan International, the International Sogobudo Federation, All Japan Bukijutsu Federation and more. Visit http://www.seishinkan.com for additional information. 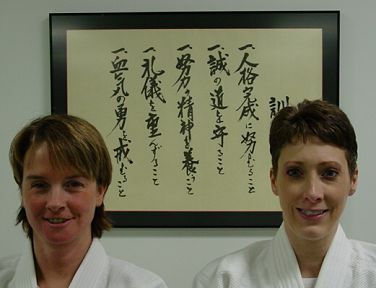 2004 / 2005 International Sogo Budo Federation Seishinkan International Shidoin License Graduates. Left to right - John Paxton, Paul Susco-Allen, Brian Glass, John Viol Shihan (Program Director), Ciprian Robu and Dr. Laurence Bove. Graduated an intensive 13 month licensure program and were issued Shidoin grade licenses from Japan - 4 April, 2005. 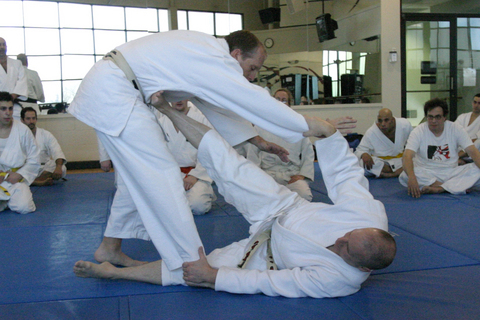 John Parks Shidoin receives Ground Fighting tactic from John Viol Shihan at the recent seminar at the Anshinkan Dojo in Michigan. Photo courtesy of Don Alley. 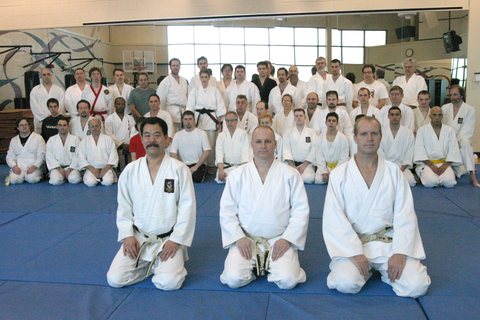 Anshinkan Dojo Ground Fighting Seminar participants. Front row left to right - Marcus Schoon, John Viol, John Parks. Photo courtesy of Don Alley. NEW! 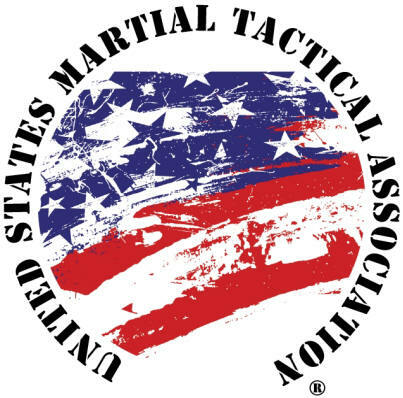 OHIO MARTIAL ARTSCLASSES FORMING NOW! 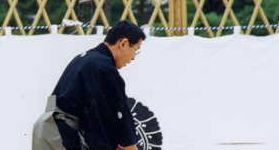 Ohio Martial Arts Instructors and Organizations have requested a representative from Japan to come and provide authentic Sogo Bujutsu. Their request has been granted. Sogo Bujutsu is now open to all sincere Ohio Martial Arts Instructors and students. Click the link above for more information and to inquire about classes, seminars, Instructor Training, International Weaponry Certification and more. Classes include: Toyama Ryu Iai, Yagyushinganryu Iai, Yagyuryu Jujutsu / Kenjutsu, Seishinryu Karatejutsu, and Koryu Bukijutsu. Martial Arts Supply Co. Martial Arts Supply Co. Martial Arts Supplies equipment uniforms nunchaku swords weapons warrior free greeting cards Auction and more. Seishinkan Martial Arts Sogo Budo Dojo United States branch Dojo established in 1977. A non profit private membership martial arts school. Authentic classical sogo budo and bujutsu. Sogo budo martial arts instruction includes Seshinryu power contact karate, Yagyu ryu jujutsu, Toyama ryu iaido, Yagyu shingan ryu hyoho iai jutsu, Yoshinkan aikido, Buki jutsu and more. John Viol Shihan - Receiving Menkyo Kaiden in JapanJohn Viol began his martial arts carrer in 1967. Viol Shihan has lived, trained, tested and been certified in Japan by some of the top classical martial arts instructors of our time. He trained full time in Japan serving 3 terms as an Uchideshi - live in student. He is one of a small handful of Westerners who teaches and has his own martial arts Dojo in Japan. In 1991, at a special ceremony for him in Japan, Viol Shihan was presented with the highest teaching license - Menkyo Kaiden. 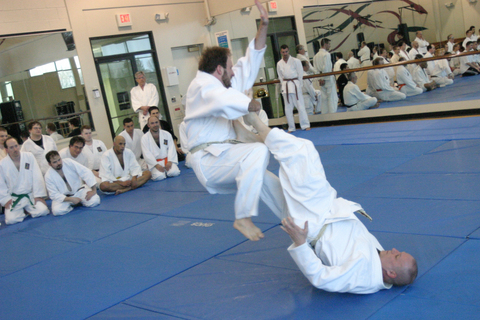 Visit the photo gallery of Seishinkan Chief Instructor John Viol Shihan. Full color photos of his training, teaching and awards with his Instructors and friends in Japan. Buki Jutsu / Kakushi Buki Jutsu Seishinkan is a primary source for the most in depth and specialized knowledge on authentic and classical buki jutsu and kakushi buki jutsu - martial arts weaponry. 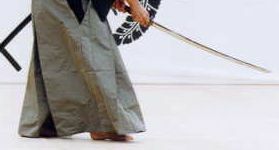 Seishinkan provides highly technical instruction and certification from Japan on suntetsu, tekko, kama, mijikai bo, rokushaku bo, sai, jutte, tessen, tonfa, obi tori, tanto jutsu, kenjutsu, batto jutsu, iai jutsu and more. 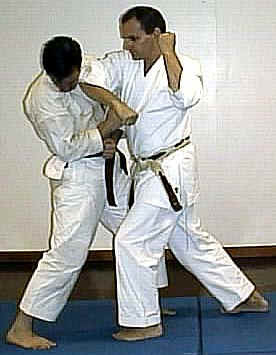 Seishinkan Instructional Pages - Learn martial arts related information on line. 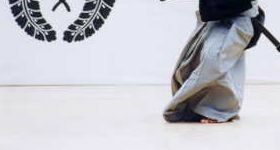 Basic techniques - Waza, Japanes language - Nihongo / Dojo Yogo, and more. Seishinkan Interactive Martial Arts Pages Interact directly with us or others interested in martial arts. DISCUSSION BOARD > Warrior Quotes > SSK Survey > Martial Arts WEB CAM Live and recorded Video of authentic Sogo Bujutsu / Budo. BATTLEGROUND - Where sogo warriors meet. BattleGround is neutral ground. Sakura Martial Arts Supplies Seishinkan has been dealing with Sakura martial arts supply Co. for over 30 years. We are proud to feature them on our site. They have provided our main and branch Dojo with quality martial arts supplies with consistently fast and superior service. They have generously supported and sponsored some of the interactive pages on our site. Sakura Martial Arts Supplies on line shopping site has featured the Seishinkan site on their site and have been responsible for a dramatic increase in hits to this site. We encourage you to visit and do business with them. WARRIOR GREETING CARDS We use this free greeting card service by Sakura martial arts supplies to send great warrior E-cards to our staff, students, friends and associates. Sakura All Martial Arts Auction Seishinkan is involved with charity. We use the Sakura all martial arts auction site to sell and buy new and used supplies and equipment. Proceeds and items can then be donated to those in need.